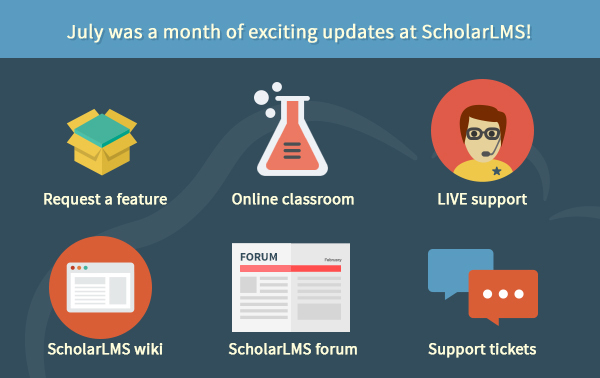 Our entire team is excited about the release of the new ScholarLMS dashboard - an upgraded version of the 'My account' section. You will now be able to do a lot more with your account with a lot less effort right from the dashboard. We have extended the functionality of the old 'My account' page which now shows your account's statistics such as users, courses, graphs and orders. 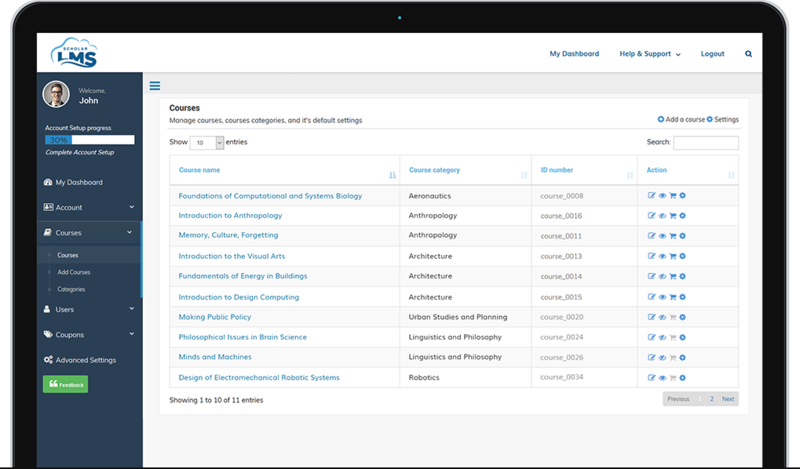 Apart from account statistics, now you will also be able to manage your course, users and coupons from the same section. With the help of these analytics, you will be able to gauge how your business is performing. You will know exactly how much your business grew from last month. 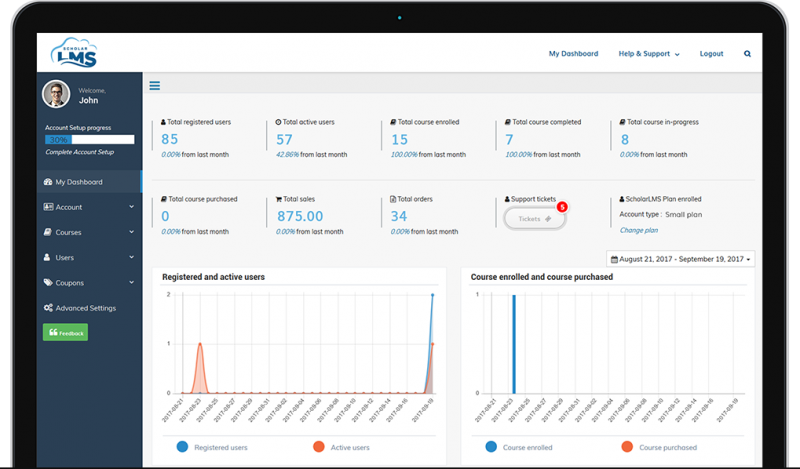 Your new dashboard will also save you time in managing courses, users and coupons. What can I expect from the Dashboard in future? This is only the beginning - we are going to further extend the Dashboard's functionality by a great deal in upcoming months! Not only do we listen to our customers, we also act on their requests and feedback! Since this is a new implementation, your feedback is greatly appreciated (and requested). 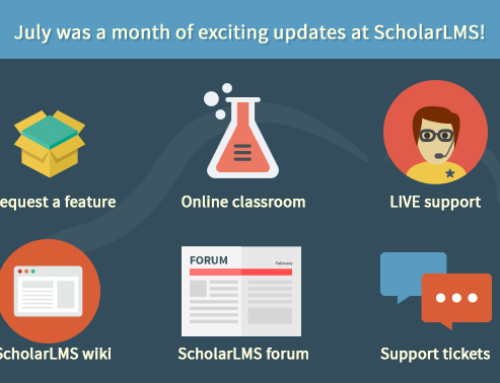 Help us shape the next versions of the ScholarLMS Dashboard and make it bug-free. You can leave your feedback right from the side-navigation of the dashboard. We hope you enjoy this update and we look forward to receiving your feedback.